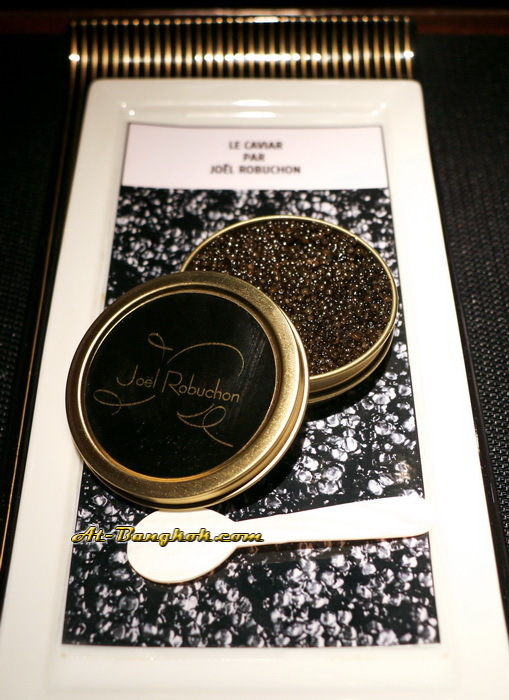 L’atelier de Joel Robuchon is located at the Cube center at MahaNakhon, in Silom/Sathon central business area near Chong Nonsi BTS station. Upon entering the restaurant we were greeted with a smile by the attractive hostess. The space was dark with accent of red and indirect lighting. 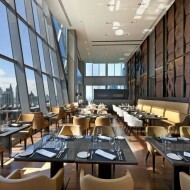 We were guided to our seats, a sushi bar like seating arrangement overlooking the open kitchen. The other types of dining spaces are: traditional dining space with tables that look out to the surrounding area and private ding rooms. After being seated we received warm greetings from the staffs. We went for the 5 course tasting menu with wine pairing. 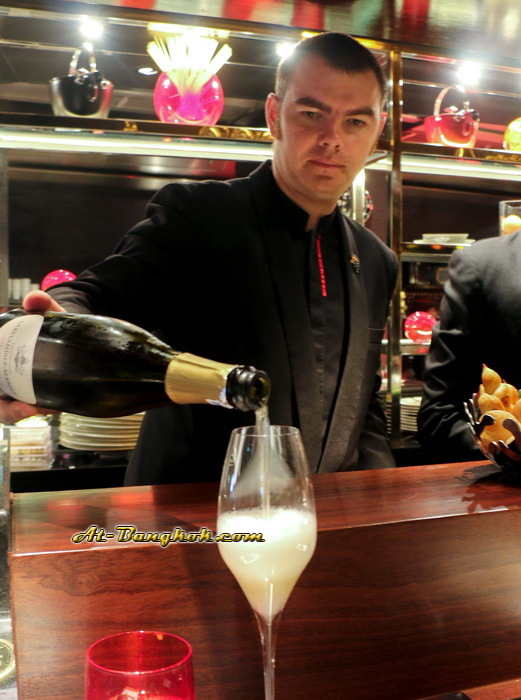 The sommelier Benoit Bigot was a familiar face, we met before at another high-end dining establishment. He was very informative and provided interesting facts about the wine he is serving and a why he chooses them. 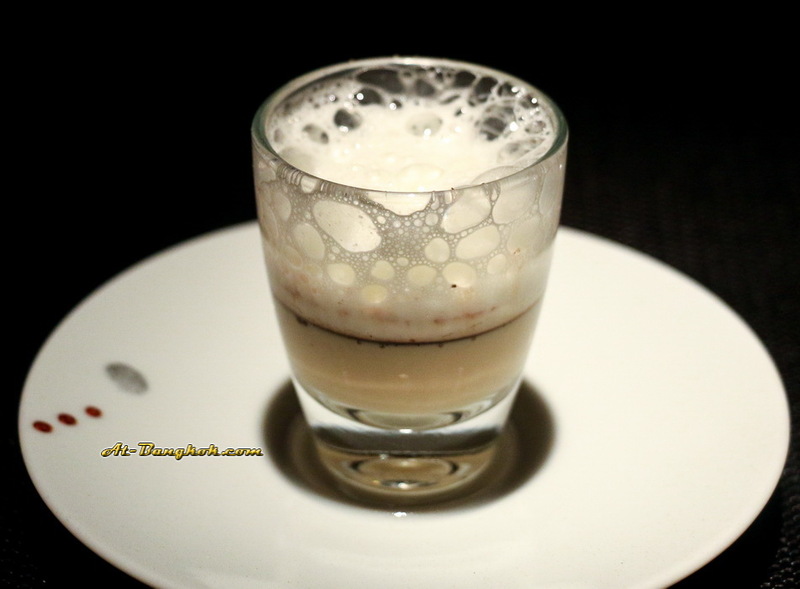 Our epicurean journey begins with amuse bouche; Royal of foie gras, aged Porto reduction, parmesan foam; creamy liquid foie gras. The bread basket; the bread was very high quality, if I didn’t have five more courses ahead of me, the bread would have been all gone. 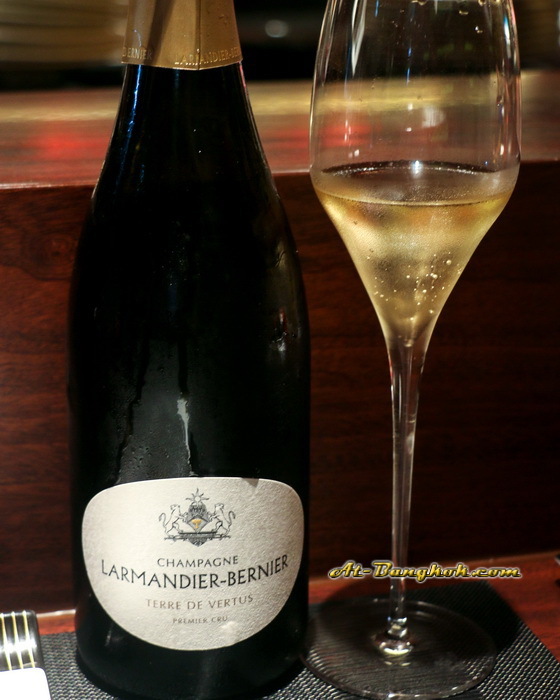 Champagne Larmandier-Bernier terre vertus; yeasty on the nose with notes of apples, it was paired with the following appetizer. 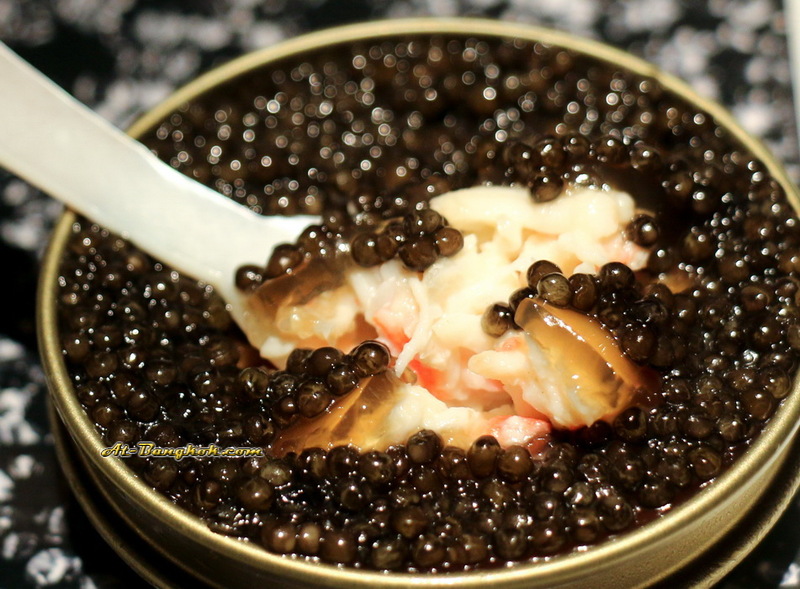 LE CAVIAR IMPERIAL, A surprise of Sologne Imperial Caviar; we were really surprised that it was a full container of caviar. 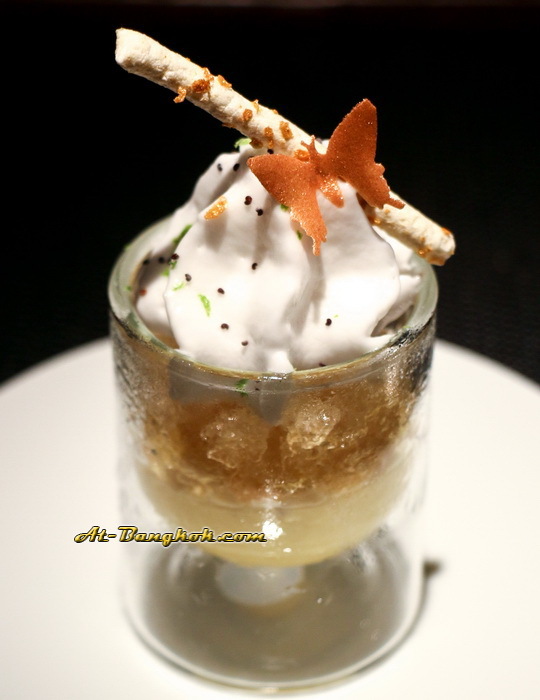 As we dig in the surprise was a creamy Alaskan king crab with tasty jelly. 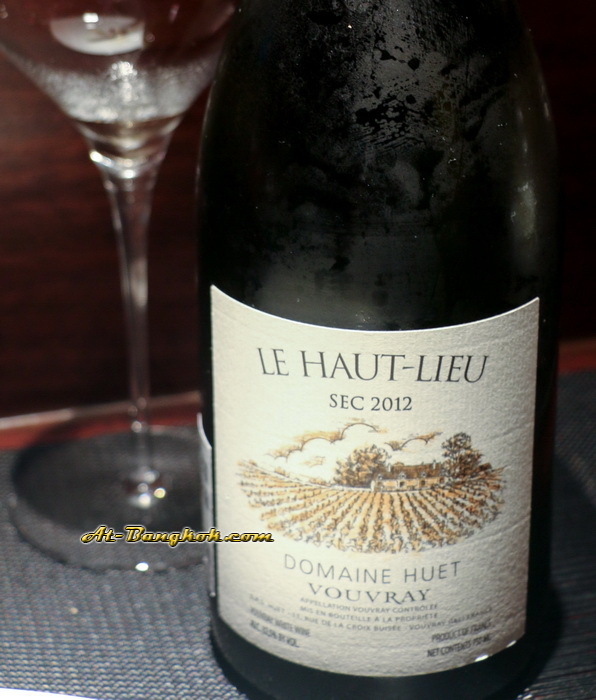 Le Haut Lieu Vouvray 2012 notes of orchard fruit, hints of citrus with mineral undertones it was paired with the following appetizers. 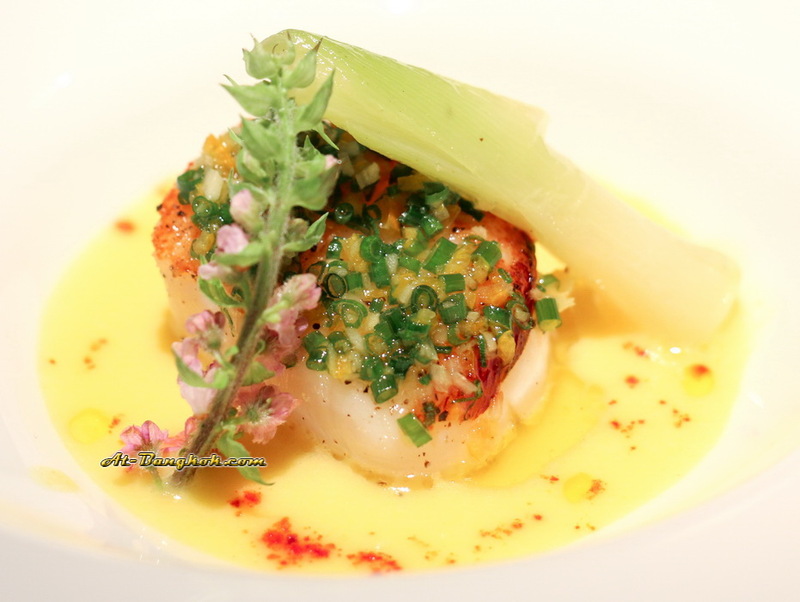 LA NOIX DE SAINT-JACQUES, a beautiful dish of seared sea scallops and kumquat condiments, scallops were cooked perfectly. 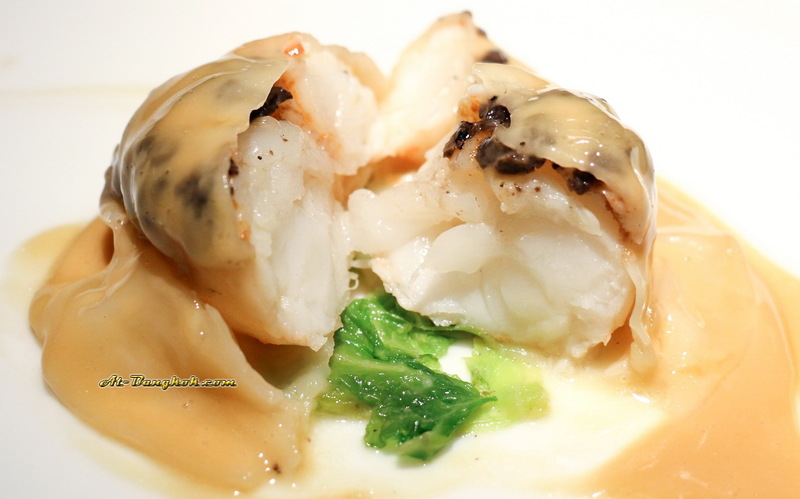 LA LANGOUSTINE, Langoustine ravioli with black truffle and foie gras sauce a very delicate dish. Seeing the photos make my mouth water. 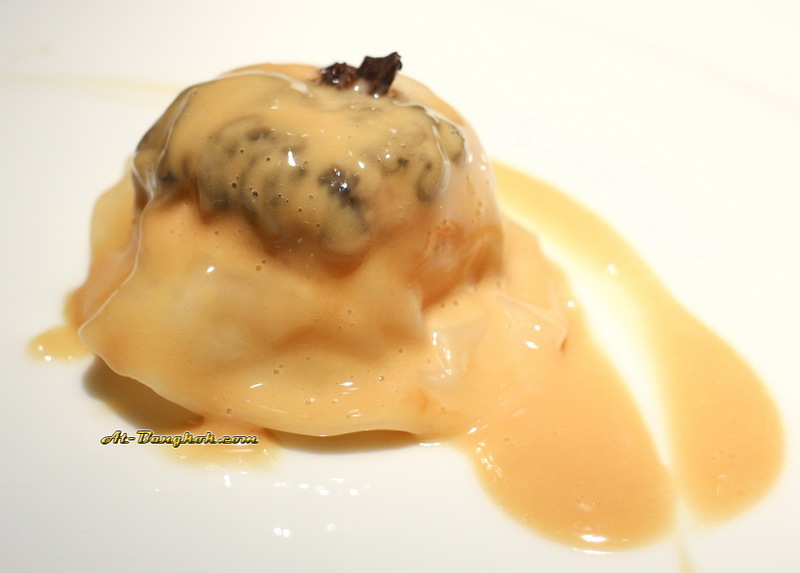 It starts with the soft moist ravioli; langoustine was sweet and fragrant elegantly combined with truffles. 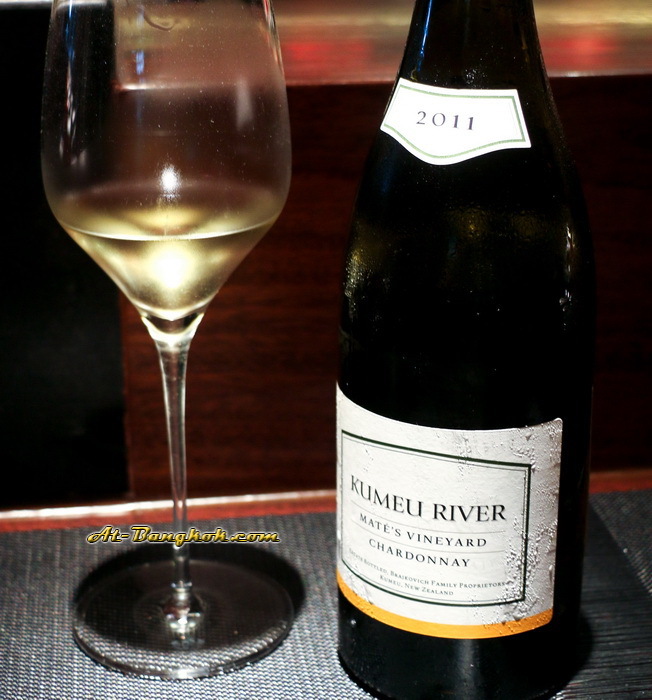 Kumeu River Mates Vineyard Chardonnay 2011 has gorgeous aromas of honeysuckle, grapefruit essence and peach kernels along with cedar, preserved ginger and jasmine was pair with the following. 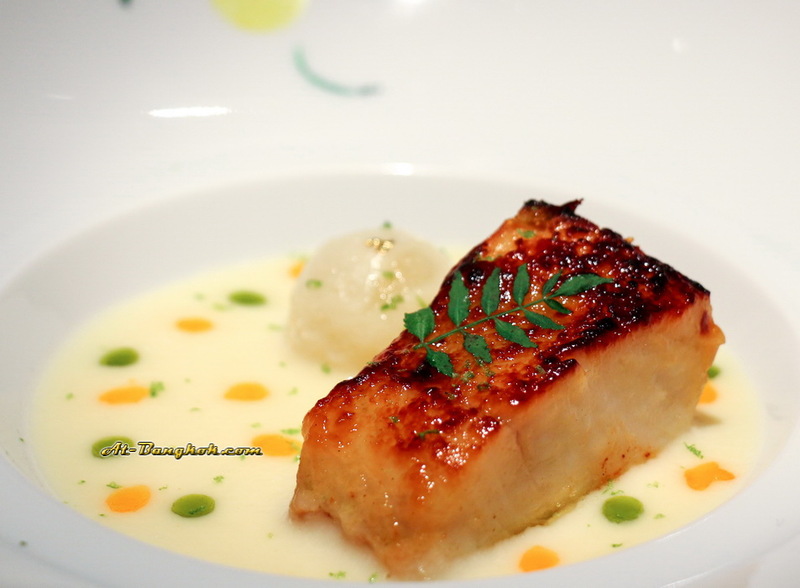 LA SOLE, Dover sole fillet, stewed baby leeks, Champagne sabayon; the velvety fish had a crisp teriyaki crust. It was the least liked dish due to the sweetness of the teriyaki but there was nothing left on the plates. Marsannay Les Ouzeloy 2011 pinot noir has aromas of purple fruits, mint, violet, mocha and juicy black fruit was paired with a lamb dish. 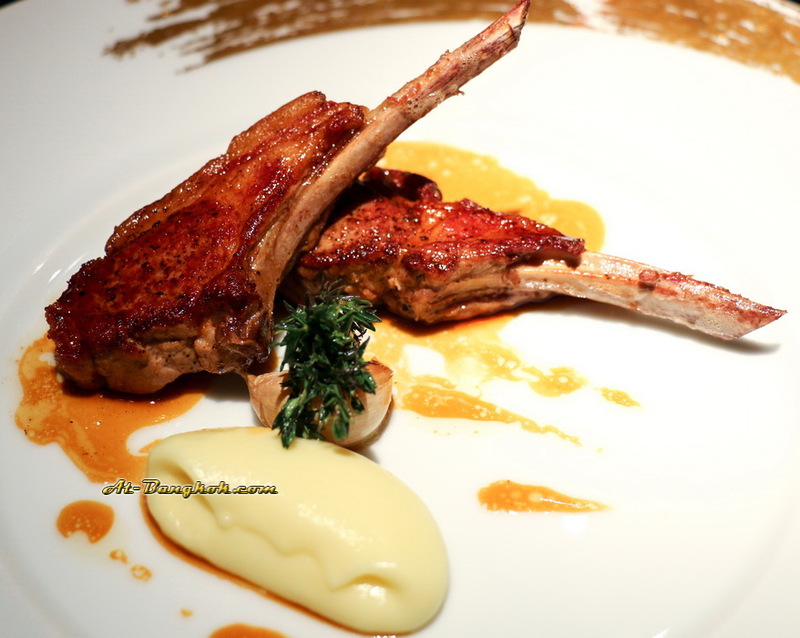 L’AGNEAU DE LAIT DES PYRENEE, milk fed lamb cutlets from Pyrenees with fresh thyme; young lamb cooked to perfection. I’ve had really good lambs from many places; this lamb was one of the best. The only complain was there wasn’t enough of it. Throughout the meal we were greeted by the nice attentive staffs providing information about the dishes and wines which makes you feel really welcome and make the meal more interesting. For desserts we each had a different dessert which was a great idea so we could sample all of them. Each dessert was paired with a different sweet wine. 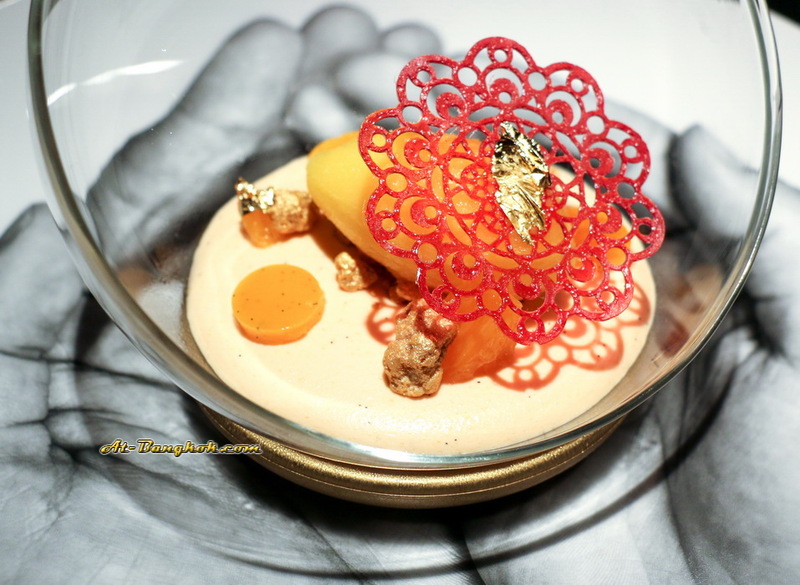 LE PARFUM DES ÎLES, Caramelized banana and passion fruit cream, aged rum granite; coconut mousse was a pre-dessert. FLEUR CARAMEL, Caramel lightness, tangerine jelly and sorbet was a beautiful dish creamy not too sweet with sharp acidity from the sorbet. 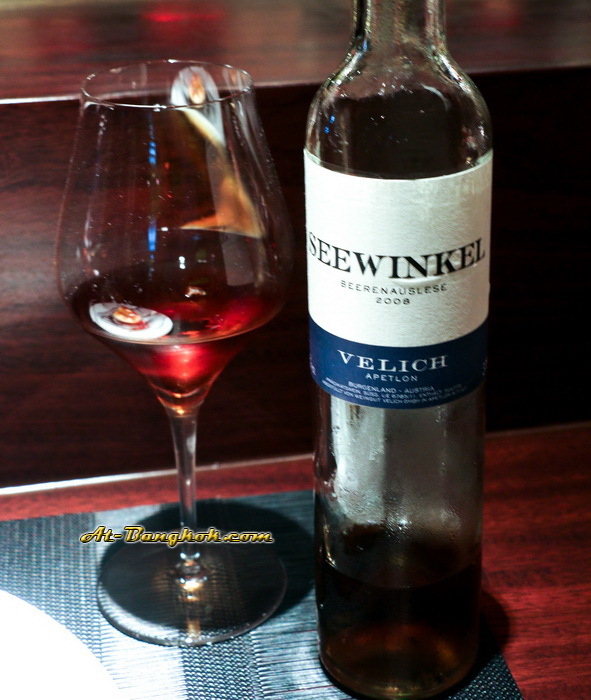 It was served with 2008 Velich Seewinkel Beerenauslese; very strong honey, apricot and tropical fruit, raisin sweetness, with some acidity. LE ROUGE, red fruits panna cotta, watermelon and amaou strawberry, lime-basil sorbet was very appealing. Who doesn’t like luscious juicy fruits with tangy sorbet? It was served with 2012 Gewurztraminer Fronholz has nose of grapefruit, lychee and guava fruit, and some floral characters. 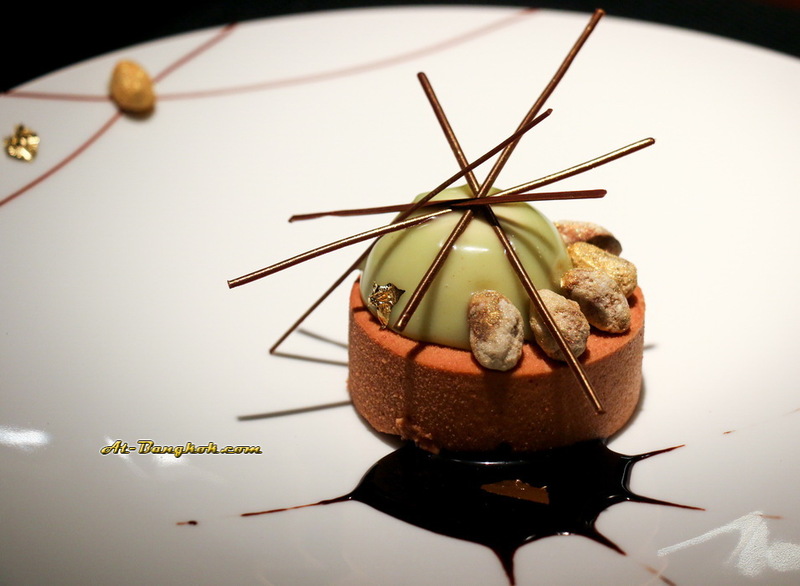 LE MIKADO Mikado, Jivara milk chocolate mousse, Chantilly pistachios; the smooth texture of the chocolate mousse lingers in the mouth while the richness of the pistachios melts it together is heavenly. 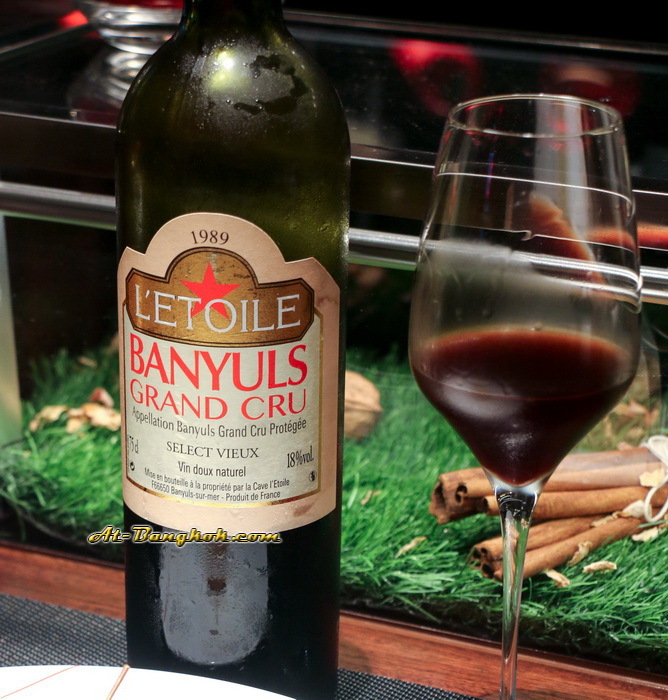 It was served with L’Etoile Banyuls Grand Cru Sélect Vieux 1989 has beautiful mahogany color with candied fig, prune, coffee, praline, kirsch and minty freshness. If you are here to experience L’atelier de Joel Robuchon, I would recommend sitting at the sushi bar like counter bar. It provides a very unique experience. The ambiance emphasizes the food in front with enough lighting to actually see the food but not too bright to distract the mood. 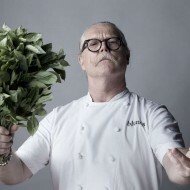 You would be well taken care of by the staff and chefs. 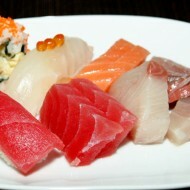 Plus you get to see the action to create the carefully thought-out dishes. 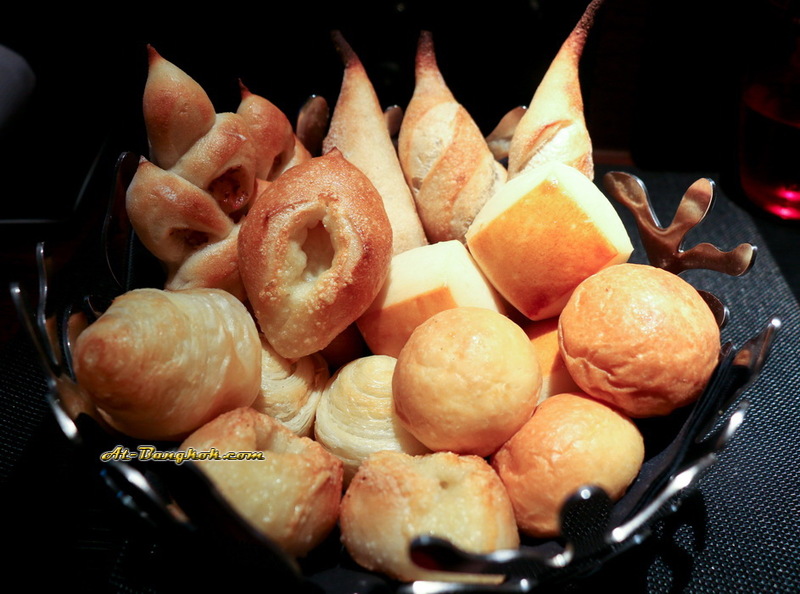 For 5,000 baht per person gets you 5 courses tasting menu and additional wine pairing for 3,000 baht can be a lot but it’s a one of a kind experience the you won’t find in any of Bangkok restaurants in its class. 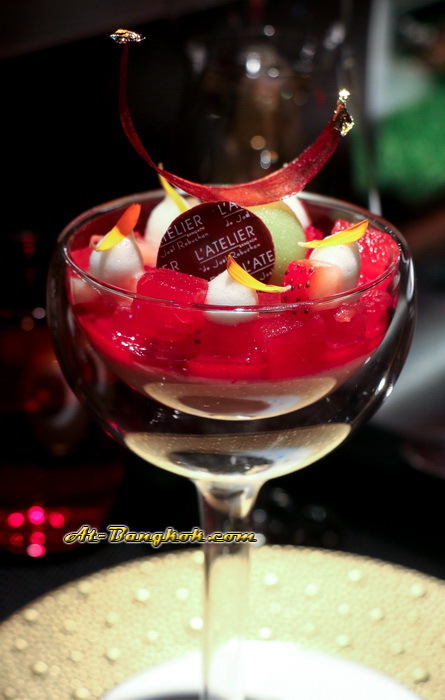 L’atelier de Joel Robuchon is one of the most talked about Michelin star restaurant that has come to Bangkok. 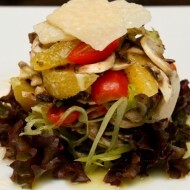 There is no doubt why; impeccable services, and food that is to die for. 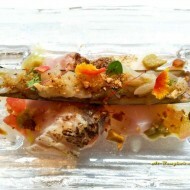 2 Comments on "L’atelier de Joel Robuchon Bangkok"